User Rating El Satánico received a rating of 62.978 percent from our users. 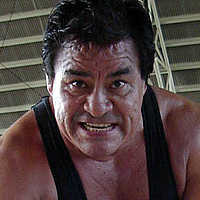 With this rating, El Satánico is positioned at rank #2715 in our Wrestler Ranking. Our spindoctors Bret Hart GM, Deadmeatcorp and JohnCena15 awarded the top grade to El Satánico. Our spindoctor geoffrey10 gave the worst grade to El Satánico.